then to the University of Goettingen, Germany as Alexander von Humboldt Fellow in the group of Professor L. F. Tietze. His research interests include the synthesis of marine natural products, peptides and peptidomimetics, combinatorial chemistry and new solvent media for organic synthesis. He is a recipient of a Young Scientist award of the Indian National Science Academy, B M Birla Science Prize and National Academy of Sciences-Reliance Industries Platinum Jubilee Award. He has over 190 publications, 2 patents, and guided 20 students for their Ph.D. degrees. According to a press release here on Tuesday, Dr. Chandrasekhar has been conferred the honour for his significant contribution in organic chemistry and medicinal chemistry. The major contributions include synthesis of complex natural products, especially of marine origin with anti-cancer and anti-depressant properties, green chemistry and automation chemistry to make large number of new chemicals. He has produced 25 Ph.D. students and published more than 200 papers in international journals. He is also a fellow of National Academy of Sciences. India has achieved many prizes in 2014. Before the year ends IICT scientist Srivari Chandrasekhar has added one more prize, he wins Infosys Prize. The scientist who has made important contributions in potential drug developments. 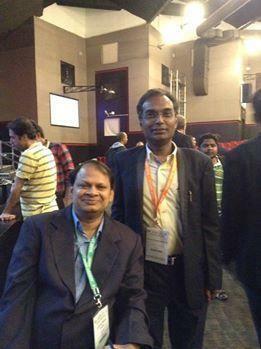 Srivari Chandrasekhar from CSIR-IICT , Hyderabad, was announced the winner of the Infosys Prize 2014 in Physical Sciences. The award includes a purse of Rs. 55 lakh, a 22 carat gold medal and citation. The award will be presented by The President on January 5 in Kolkata. The prize is awarded annually by the Infosys Foundation. Chandrasekhar’s current contribution is to develop a technology for manufacturing Misoprostal, an abortive drug also used in the treatment of ulcers. Now we can easily get rid of Ulcer. He has successfully prepared some important drug molecules such as bedaquiline for multi-drug resistant TB, Galantamine for Alzheimer’s disease, Sertraline for treatment of depression, Nebivolol for hypertension and marine natural products such as Eribulin, Azumamide, Arenamide and Bengazole which are scarce to get from nature, with potent biological activities. As he moves on achieving his target , he has made contributions in synthesizing complex and scarcely available natural products in the laboratory using easily available chemicals. 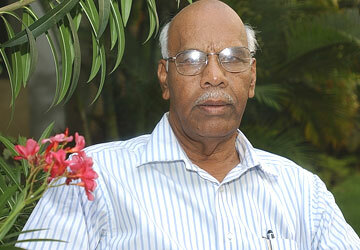 Chandrasekhar has over 250 publications in national and international journals to his credit. Prof. Chandrasekhar has displayed an exceptional flair for identifying and synthesizing molecules of biological relevance, topical synthetic interest and utility to industry. His research efforts, with an impressive degree of innovations and enterprise, have led to the synthesis of complex and scarcely available natural products and new molecular entities for affordable healthcare. His endeavors have provided cost-effective technologies to chemical industry through identification of new reagents / solvents for specific transformations. Chandrasekhar's group has synthesized several classes of complex natural products in optically pure form employing chiral pool precursors and catalytic asymmetric reactions and his syntheses of pladienolide, azumamide, bengazole etc., bear testimony to the efficacy of such approaches. His passion and commitment to topical health related problems is through provisioning for better and affordable access to important drugs. Mention may be made of hissynthesis of bedaquiline, the first drug approved by FDA after a gap of over 40 years for the treatment of multi-drug resistant TB through simpler transformations and higher yields to ensure ready availability. He along with a team atIICT has developed a scalable synthetic route for misoprostol (a hormone like biologically important synthetic prostaglandin) used to prevent gastric ulcer, induce labor and / or abortion (particularly for safe termination of unwanted pregnancies), which has already been commercialized. More prudent research field has been the identification of novel peptido-mimetics wherein research group of Dr. S. Chandrasekhar has synthesized β-sugar amino acids, norbornene-based, aminoxy acids of furanoses and nucleoside-based amino acids and demonstrated that these monomers in various combinations of oligomerization resulted in predefined secondary structures including nanotubes. Dr S. Chandrasekhar has for the first time identified polyethylene glycol (PEG) as a recyclable solvent for organo-metallic reactions wherein both the solvent and catalyst can be recycled. This unprecedented report triggered various research programs using PEG as a solvent in different parts of the world. Some of the reactions worth mentioning using PEG as solvent are as follows: Heck reaction in PEG, Sharpless asymmetric dihydroxylation (was performed for the first time in PEG), PtO2 recycle and H2 absorption studies. This work has found direct applications in developing non-infringing technologies for APIs. Dr S Chandrasekhar has never hesitated to take-up challenging process development subjects relevant to health care. The processes developed for semi-synthesis of Taxol (M/s. Cipla), Misoprostol (M/s. AVRA) and Carboprost (M/s. AVRA) are worth mentioning and biotech problems are also addressed by him as evident in the synthesis of Fondaparinux as anti-coagulant agent (Table 1). In addition, as part of the ‘Drug Discovery Process,’ over 500 new chemical entities are being synthesized in his group. The process developed for EV-077 sponsored by M/s. 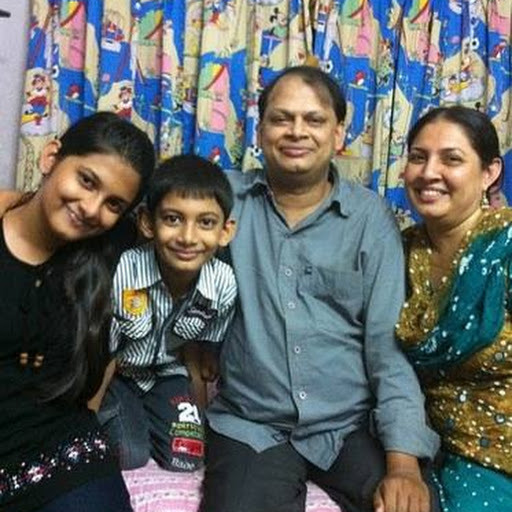 Evolva biotech helped them to enter into phase I clinical studies. Several combinatorial libraries were prepared in his group as new chemical entities for screening against cancer (US patent 7179937), TNFα, 5HT antagonism etc. Two review articles written by him on hybrid natural products (Angewandte Chemie 2003, 3996) and prostaglandins (Chemical Review, 2007, 3286) are worth mentioning. A recent contribution of Dr. S. Chandrasekhar is the synthesis of bedaquiline (2S)-R207910, a novel anti-tuberculosis molecule, which has appeared as cover page with theme “Chemistry for a healthy world” in Eur. J. Org. Chem. 2011, 2057.
International patent, Gurjar, Mukund K.; (Pune, IN) ; Wakharkar, Radhika D.; (Pune, IN) ; Desiraju, Gautam R.; (Hyderabad, IN) ; Nangia, Ashwini; (Hyderabad, IN) ; Yadav, J. S.; (Hyderabad, IN) ; Burman, Anand C.; (Ghaziabad, IN) ; Mukherjee, Rama; (Ghaziabad, IN) ; Borate, Hanumant Bapurao; (Pune, IN) ; Chandrasekhar, Srivari; (Hyderabad, IN) ; Jaggi, Manu; (Ghaziabad, IN) ; Singh, Anuo T.; (Ghaziabad, IN) ; Kapoor, Kamal K.; (Ghaziabad, IN) ; Sarkhel, Sanjay; (Hyderabad, IN) ; Sairam, Kalapatapu V.V.M. ; (Hyderabad, IN) US 7179937. Cyclopentenone derivatives for cancer therapy. Saibal Das, Rene Gree, J. S. Yadav, S. Chandrasekhar, P Srihari and A.V. Rama Rao. (Application no:1530/CHE/2007, Filing date: 16.07.07, Indian patent filed). Process for enzymatic resolution of racemic monosubstituted cis-2-cycloalkene-1,4-diols in ionic liquids. S.Chandrasekhar, T. Pavan Kumar, Vidyavathi Patro and Ch. Rajireddy. (Patent submitted to IICT IPM Division). Novel triazoles andoxime ethers from hydroxylamine derivatives. The Infosys Prize 2014 in Physical Sciences is awarded to Dr. S. Chandrasekhar for his diverse and notable contributions in synthetic organic chemistry with special focus on the synthesis of complex molecules from natural sources. He has devised innovative, practical approaches to pharmaceuticals of current interest to industry. 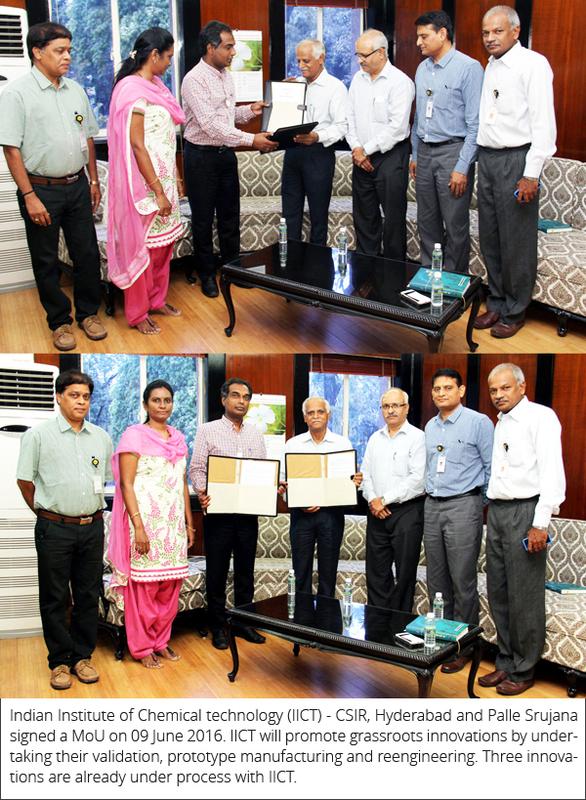 Congratulations Srivari for winning the 2014 Prize in Physical Sciences. Your work was impressive not only in the breadth of chemistry it covered but also for its impact on society. In fact your approach of concept to commercialization or ‘bench to bed’ is truly unique for academic scientists in the Indian context. Not only has your work had important ramifications in chemistry but it will affect branches of society such as drugs and pharmaceuticals; agro chemicals and materials. Congratulations again. Dr. Srivari Chandrasekhar is Chief Scientist and Head, Division of Natural Products Chemistry at the Indian Institute of Chemical Technology (IICT). He received his B.Sc. (1982), M.Sc. (1985) and Ph.D. (1991) degrees from Osmania University, and pursued post-doctoral research at the UT Southwestern Medical Center, Dallas, USA, with Prof. J. R. Falck. As a Humboldt Fellow at the University of Göttingen, he worked on the synthesis of hybrid natural products with Prof. L. F. Tietze. Chandrasekhar was instrumental in setting up the state-of-the-art Molbank facility at the IICT for the storage and retrieval of chemical samples for HT screening. 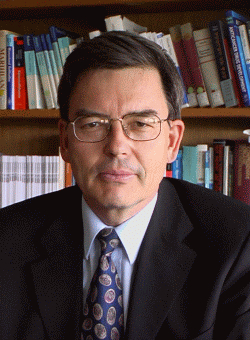 He has over 240 publications in national and international journals. He has mentored a large number of doctoral and post-doctoral students and won several awards, including the INSA medal for Young Scientists, CSIR Young Scientist Award, AVRA Young Scientist Award, and the FAPCCI award. 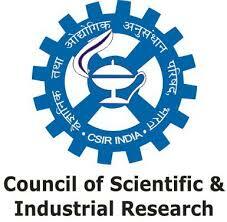 He and his team won the CSIR Technology Award, 2014 for commercializing the process for misoprostol. He is a Fellow of the Indian Academy of Sciences, Bangalore, the National Academy of Sciences, Allahabad, and the Indian National Science Academy, New Delhi. Dr. S. Chandrasekhar has displayed a flair for identifying and synthesizing molecules of biological relevance, topical synthetic interest and utility to industry. His research efforts, with an impressive degree of innovation and enterprise, have led to the synthesis of complex and scarcely available natural products and new molecular entities for affordable healthcare. His endeavors have provided cost-effective technologies to the chemical industry through the identification of new reagents / solvents for specific transformations. Chandrasekhar's group has synthesized several classes of complex natural products in optically pure form employing chiral pool precursors and catalytic asymmetric reactions and his syntheses of pladienolide, azumamide and bengazole bear testimony to the efficacy of such approaches. His passion and commitment to topical health-related problems is evident in his provisioning for better and affordable access to important drugs. This includes his synthesis of bedaquiline, the first drug approved by FDA in over 40 years for the treatment of multidrug-resistant TB. His team at IICT has developed a scalable synthetic route for misoprostol (a hormone-like biologically important synthetic prostaglandin), used to prevent gastric ulcer, induce labor and / or safely terminate unwanted pregnancies, and this has already been commercialized. Chandrasekhar has developed methodologies and reagents which help in achieving the synthesis of structurally complex bio-actives in lesser number of steps and avoid the use of hazardous solvents. His contribution in this area has been the promotion of PEG (polyethyleneglycol) as an eco-friendly solvent for processing and recycling expensive metal catalysts based on Palladium, Osmium and Ruthenium in diverse reactions. This work has inspired researchers worldwide to use PEG. Chandrasekhar has mentored many doctoral and post-doctoral students and is recognized as an inspirational leader among the young generation. His research has drawn the attention of pharma and chemical companies in India and helped enhance their competitiveness. Dr. Chandrasekhar's group has synthesized over 30 complex natural products and developed several processes to provide better and affordable access to important drugs. Among these is bedaquiline, the first drug approved by FDA in over 40 years for the treatment of multidrug-resistant TB, which Dr. Chandrasekhar has synthesized through simpler transformations and higher yields to make it affordable and accessible. He, along with his team, has developed a scalable synthetic route for misoprostol (a hormone similar to biologically important synthetic prostaglandin). This is used to prevent gastric ulcer, induce labor and / or safely terminate unwanted pregnancies. This has already been commercialized. HDr. Chandrasekhar has mentored a large number of doctoral and post-doctoral students and is recognized as an inspirational leader among the young generation. His research has drawn the attention of pharma and chemical companies in India and helped many of them enhance their competitiveness. Dr Srivari Chandrashekar, FNA, Director, CSIR-IICT, Hyderabad addressed the research students of the institute on 1st July, 2015 in IICT auditorium. In his address he advised the entire students community pursuing their R & D in IICT to be more serious in their assigned task and also to be more disciplined, punctual and to come properly dressed to the Lab. Director also suggested to maintain cleanliness in their individual labs as well as in the surroundings and to follow and be a part of the Swatcch Bharat activity. He very emphatically said that the students are the workforce of the Institute and hence to become more zealous and passionate towards science.